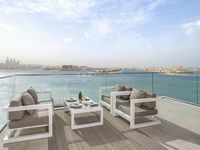 It’s not a tricky task to find suitable properties for sale in Palm Jumeirah thanks to JustProperty listing pages which teems with special properties carefully selected to stand out and meet clients’ various demands. The properties available represent lucrative investment opportunities since they stand in a hotspot destination in Dubai that lies in a central location and comprises many commercial and residential venues of the top caliber. It’s a very easy process. First the investor needs to look up the aimed area where he seeks buying a property. Palm Jumeirah for instance is one of the finest area that grabs the attention of many real estate investors in Dubai. It’s an artificial cluster of islands adjacent to Dubai’s Arabian Gulf shore, the project is owned by Dubai government and it was designed by a world top designing house which is Charvat Peacock/ Architects Inc. Construction operations on Palm Jumeirah project took off in June 2001, while the first residential community on the island was inaugurated in 2006. By October 2007, about 75 percent of the project was completed. In 2009, the number of hotels on the island’s crescent reached 28 hotels. 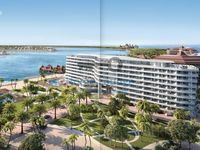 Many renowned hospitality brands opened venues with startling structures and designs in Palm Jumeirah like Atlantis, Anantara, St. Regis, Rixos, and many other. 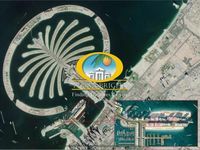 The artificial archipelago of Palm Jumeirah is connected to Dubai’s mainland with Palm Jumeirah Monorail which is 5.4 km long. The monorail line opened in 2009 marking the first monorail in the whole Middle East region. Palm Jumeirah has many residential communities that has hospitals, schools, commercial centers, recreational sites, and many other facilities. The project offers comprehensive residential experience to its inhabitants. Not to mention its touristic gravitas as a world-class touristic site overlooking the sea. This magnificent development grabs visitors from all countries around the world. It’s location, fancy hotels, and recreational venues draws the sights of investors as well as tourists. 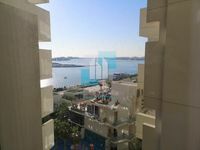 The specialised listing page of properties for sale in Dubai is fully facilitated for the user convenience. It has an option column on the left of the page to limit the search results and customize the properties shown according to the searcher's intentions. If you are looking for something, you can choose from the displayed options found in the page like the type of property, size, price, location, sub location, and many other. Once the searcher finds the property that best suits him, he can call our number or send us on our email address either to inquire more about the displayed property, or to book it. Just Property has an experienced team of skilled sales professionals and consultants who are capable of offering all needed guidance through the property buying journey. If you are looking forward to have trustful agency to back you up during this operation, call our number and we will take care of it. Just check our extended list of properties for sale and find the one that suits your capabilities.